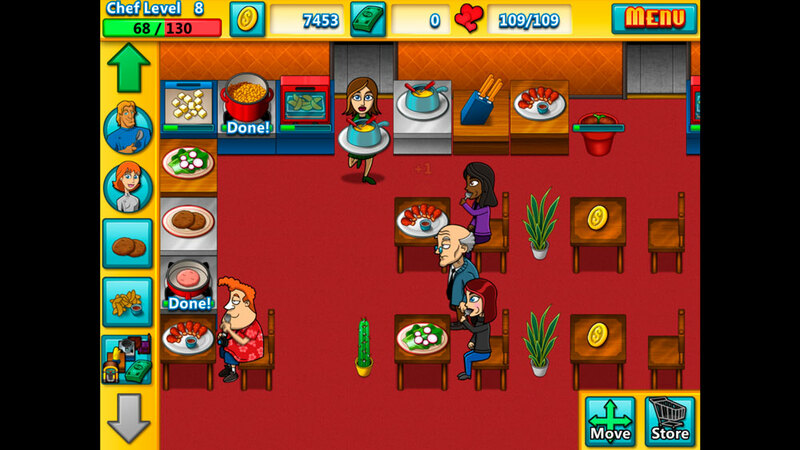 "A hugely fun and addicitve restaurant simulator and cookery based game." Cooking Academy Restaurant Royale is a sort of restaurant simulator crossed with a cookery competition I thought this game was going to be awful on first look as it seemed very basic and aimed at a young audience, but it’s strangely addictive. 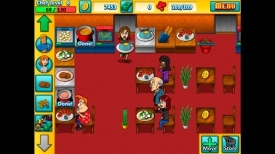 It starts out looking a bit like Master Chef the game, but you also have to plan the design of your restaurant, the position of the tables and counters, and although having people help themselves from counters placed right next to the tables they are eating on gives it a distinctly eat as much as you like buffet style feel rather than a fine dining experience it is a lot of fun trying to keep all the customers happy, they become very unhappy when you have no food ready to serve them or if there are no available tables in the restaurant. 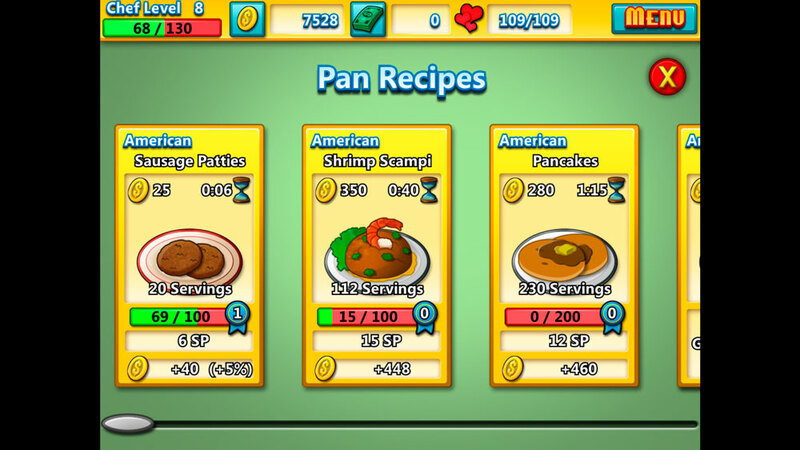 The little mini games of food prep are fun but can become a little repetitive after a while, however the running and managing a successful restaurant part of the game is very addictive, your food cooks in real time (although some cooking times are ridiculously higher than real life) you can speed this up with some of the dollar points you are given at the start. Whilst Cooking Academy 3 is a free download it does constantly try to encourage you to make in game purchases for more dollar points and that really is my only negative about the game as a whole. 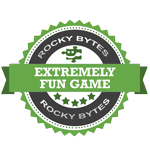 The graphics are cartoony and fun, but watch as you may pass far too much time playing this game! I’m sure it would not be to everyone’s taste and having only played a couple of hours I’m not sure how much longevity a game like this has, but it’s definitely worth trying. You can download Cooking Academy Restaurant Royale here for free.